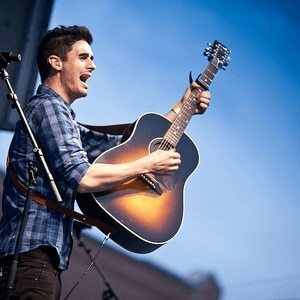 Kristian P. Stanfill (born 1983) is a Christian worship leader from Atlanta, Georgia. He rose to fame in 2005 after becoming apart of the Passion group. In 2007 he independently released an EP, before signing onto sixsteprecords. In 2009 he released his debut album, Attention. And in 2011 his fame rapidly expanded when he released his sophomore album, Mountains Move, which debuted in the top three of Billboard's Top Christian Albums. His single Always, peaked within the Top 20 of Billboard's Hot Christian Songs.